Make your own stud earrings with beads, quilling and other embellishments. These come with transparent rubber stoppers. 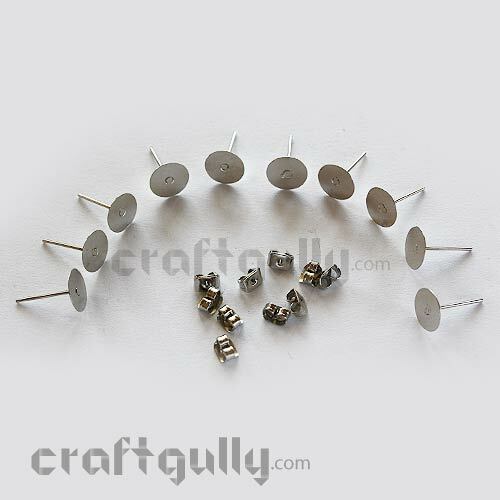 Size of base: Approx 5mm Quantity: Pack of 10 studs and 10 stoppers (5 pairs of each). 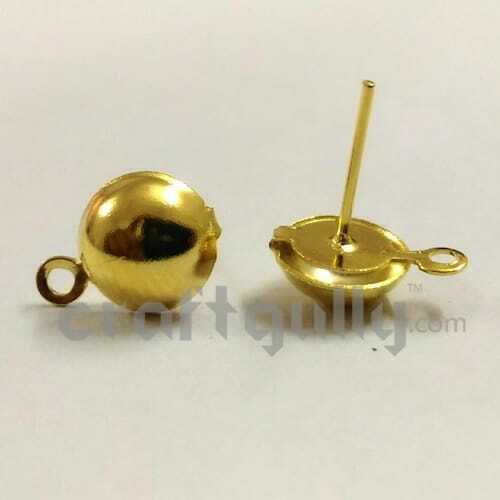 Stoppers may differ from what you see in the image.Color: Golden finish Note: These are not made of precious metals.True colors may vary slightly from what you see on your screen..
Make your own stud earrings with beads, quilling and other embellishments. The flat stud base helps in adhering the embellishment of your choice. Size of Base: Approx 6mm Quantity: Pack of 50 pairs of studs *True color may vary slightly from what you see on your screen. 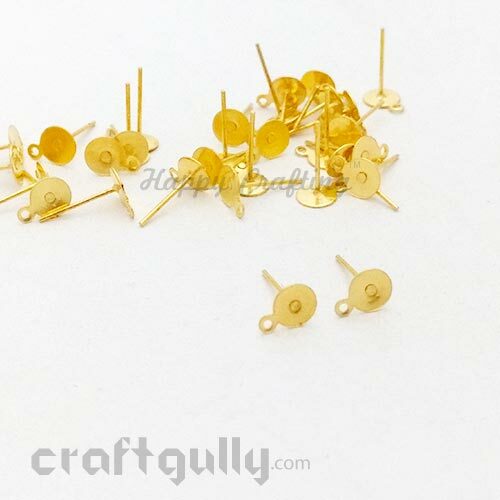 Note: These are not made of gold Stoppers are NOT included with this pack ..
Make your own stud earrings with beads, quilling and other embellishments. The flat stud base helps in adhering the embellishment of your choice. Size of Base: Approx 6mm Quantity: Pack of 50 pairs of studs *True color may vary slightly from what you see on your screen. 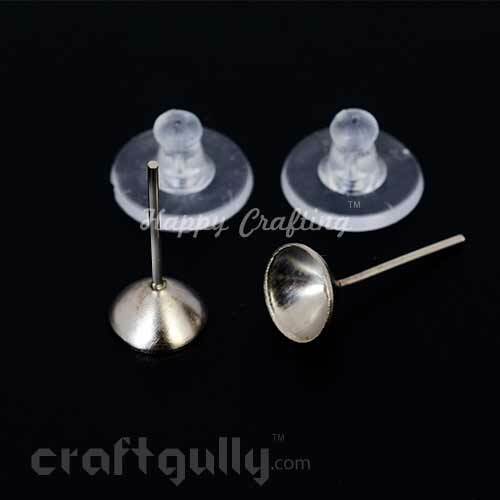 Note: These are not made of silver Stoppers are NOT included with this pack ..
Make your own stud earrings with beads, quilling and other embellishments. These come with transparent rubber stoppers. The flat stud base helps in adhering the embellishment of your choice. 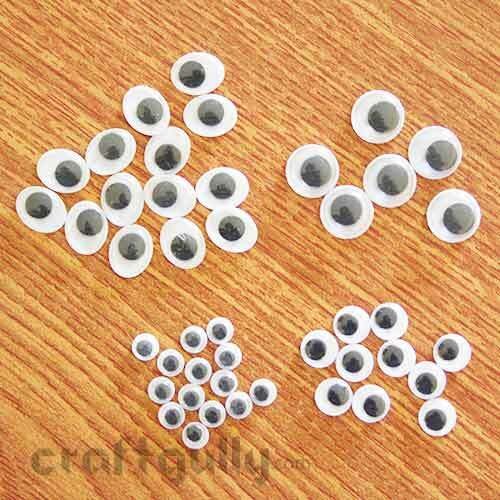 Size of Base: Approx 6mm Quantity: Pack of 10 studs and 10 rubber stoppers ( 5 pairs of each). The stoppers may differ from what you see in the image Color: Golden Finish* *True color may vary slightly from what you see on your screen. 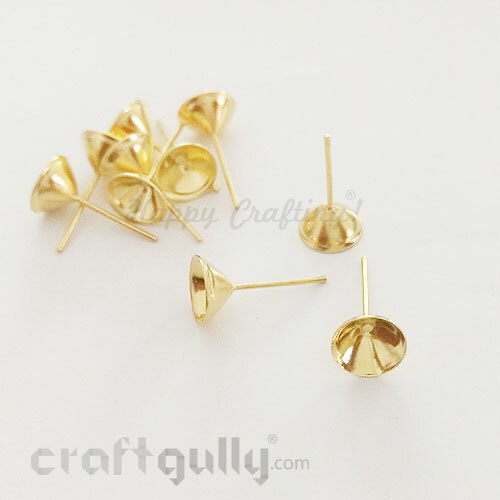 Note: These are not made of gold..
Make your own stud earrings with beads, quilling and other embellishments. These come with transparent rubber stoppers. The flat stud base helps in adhering the embellishment of your choice. 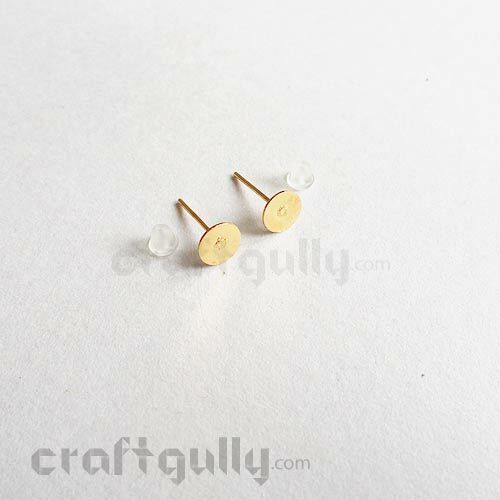 Size of Base: Approx 6mm Quantity: Pack of 10 studs and 10 stoppers (5 pairs of each). Stoppers may differ from what you see in the image. Note: These are not made of silverTrue colors may vary slightly from what you see on your screen..
Make your own stud earrings with beads, quilling and other embellishments. These come with transparent rubber stoppers. 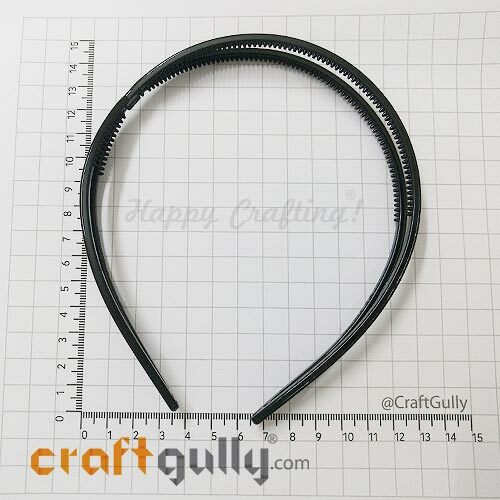 Size of base: Approx 8mm Quantity: Pack of 20 studs and 20 stoppers (10 pairs of each). Stoppers may differ from what you see in the image.Color: Golden finish* Note: These are not made of precious metals. *True colors may vary slightly from what you see on your screen..
Make your own stud earrings with beads, quilling and other embellishments. The flat stud base helps in adhering the embellishment of your choice. Size of Base: Approx 8mm Quantity: Pack of 50 pairs of studs *True color may vary slightly from what you see on your screen. 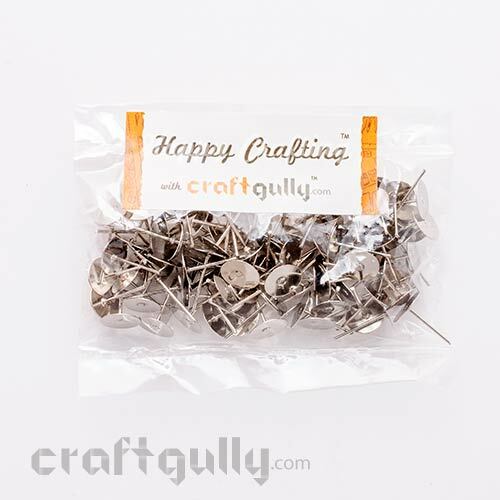 Note: These are not made of silver Stoppers are NOT included with this pack ..
Make your own stud earrings with beads, quilling and other embellishments. These come with transparent rubber stoppers. The flat stud base helps in adhering the embellishment of your choice. 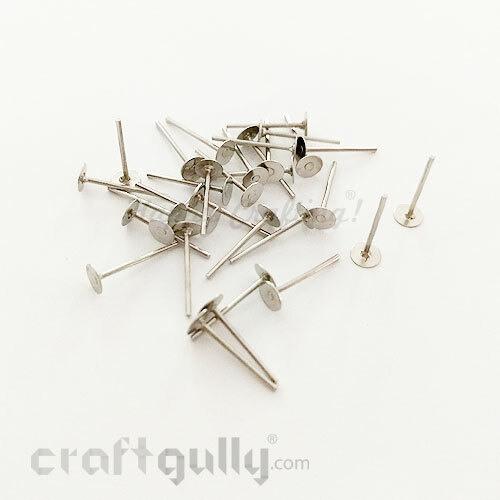 Size of Base: Approx 8mm Quantity: Pack of 10 studs and 10 stoppers (5 pairs of each). Stoppers may differ from what you see in the image. Note: These are not made of silver..
Make your own stud earrings with beads, quilling and other embellishments. 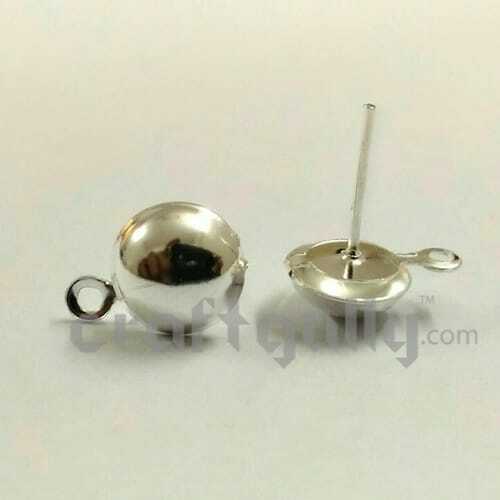 These earring studs or earring posts have a hollow half ball with a closed loop at the bottom. What's more, these come with transparent rubber stoppers as well. 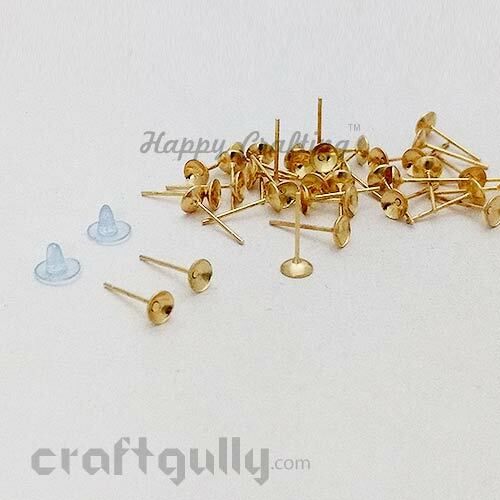 Size of round top: Approx 9mm Quantity: Pack of 6 studs and 6 stoppers (3 pairs of each).Color: Golden finish Note: These are not made of goldTrue colors may vary slightly from what you see on your screen..
Make your own stud earrings with beads, quilling and other embellishments. These earring studs or earring posts have a hollow half ball with a closed loop at the bottom. What's more, these come with transparent rubber stoppers as well. Size of round top: Approx 9mm Quantity: Pack of 6 studs and 6 stoppers (3 pairs of each).Color: Silver finish Note: These are not made of silverTrue colors may vary slightly from what you see on your screen.. Pack of 50 pairs (100 pieces) of metal earring hooks in golden color, and 50 pairs (100 pieces) of metal earring hooks in silver color Note: These are not made of gold or silver True colors may vary slightly from what you see on your screen.. 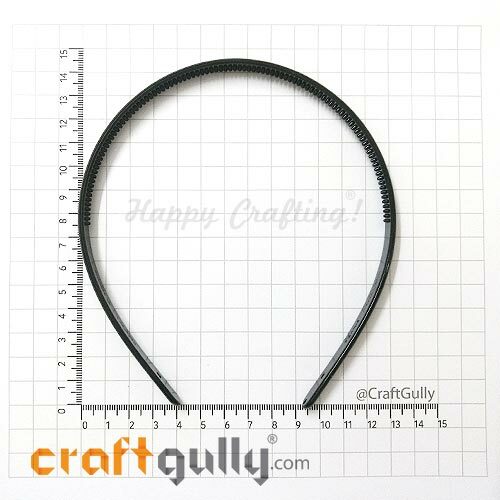 Size: 5mm (14 nos), 7mm (10 nos), 10mm(6 nos), 7x9mm (14 nos) Quantity: Pack of 44 (22 pairs)..